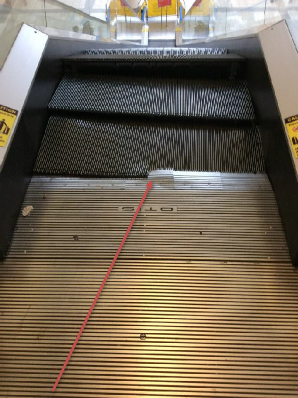 Inside an escalator, a pair of chains wraps around two pairs of gears that are driven by an electric motor. The motor and step chain sit within a metal structure known as the truss, which extend between the floors served by the escalator. Within the truss, the escalator houses steps and tracks. At the top of the unit the steps and track are kept aligned by upthrust tracks and hold down tracks. This allows the conveyer like rotation to travel through the truss with precise alignment. Licenced contractor failed to provide field mechanics with specifications and tolerances for the Otis 506 escalators. 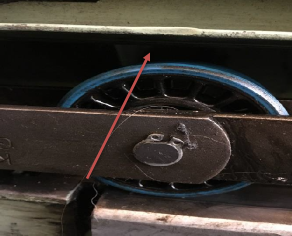 Upthrust track was not set to the correct specification which allowed the step rollers to ride higher or out of alignment prior to entering into the upper combplates. The hold down track was not set to correct specifications, which allowed the step to rise more than 1mm. The ability for the step to rise lead to the step and track to come into contact. Through conversation the Field Mechanic made the Safety Officer aware that he did not have the upthrust track specifications for allowances. Field Mechanic was not provided the documentation to maintain those specifications. Field Mechanic was not trained or checking for these allowances. It is highly probable that the cause of this pile up was that The upthrust track and hold down track were not set to proper specifications. 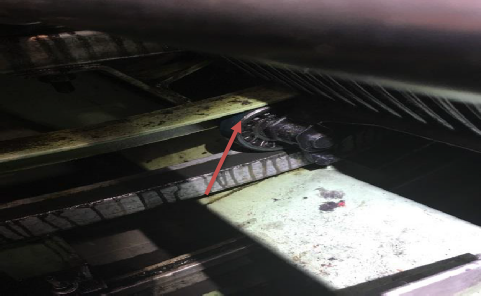 A contributing factor was that the Field mechanic(s) were not aware of the specifications of the upthrust track and the hold down track when doing regular inspections and clean downs of the internal components of the escalator. 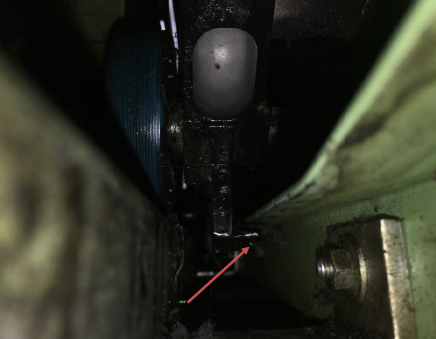 Damage description: 4 damaged steps, step axial, upper comb plates, up thrust track, hold down track, upper landing plate and stressed step chain. Steps piled up into upper combplates. Upthrust track as found. This is showing the clearance beyond 1mm. Example of a properly adjusted upthrust track, showing the correct clearance. Step hold down track and step up lift tab. This helps keep the step in alignment as it rotates in the upper end. Proper setting of 1mm clearance being shown here. During incident it was found at 4mm.